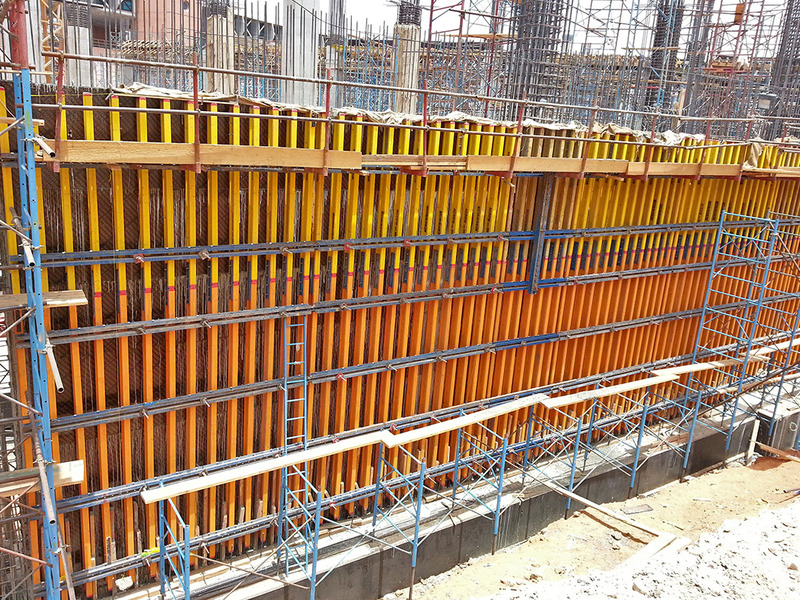 -	ACROW H20 and Soldier system is in principe a “girderform system” and one of the most flexible formwork-system; in addition, it is a multipurpose system, where it can be used in different applications. -	The elements of the system are easily and quickly assembled by connecting the H20 timber beams to the soldier by the means of H20 connection. 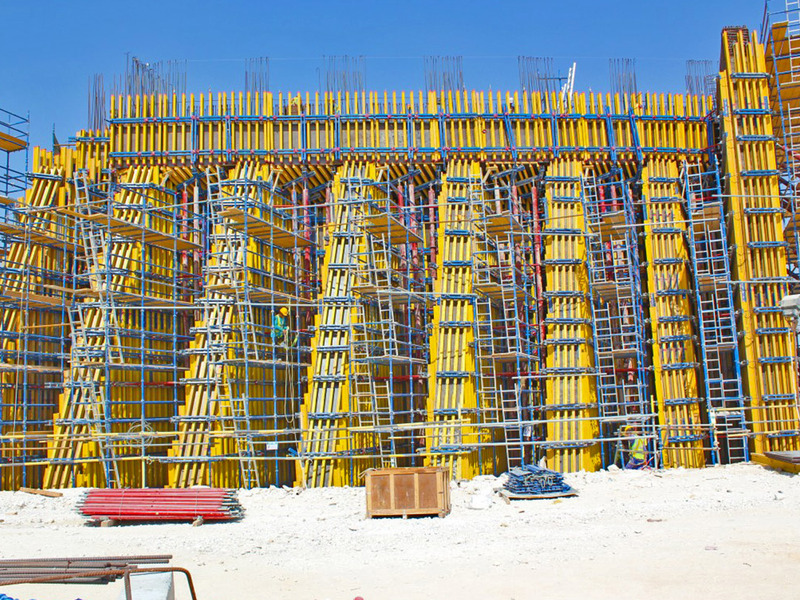 -	The main advantage of the girderform- system is that it provides both high adaptation and easy re-assembling when structure ground plans are changed frequently. -	The H20 and Soldier system is typically used for all types of walls and columns where it showed to have high rigidity as well as high stability.  Means pouring 4 m height without any restriction of speed for pouring concrete.